Looking for the magic bullet that will fix your business? It’s over there in that black circle. 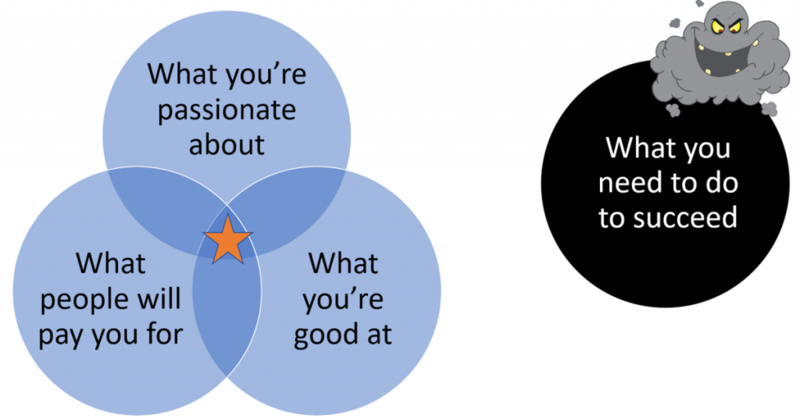 The gold star at the centre of the diagram on the left is a great place to aim for when conceiving your business or creating a new product or service. I don’t want to. I don’t know how. No one will care if I do it or not. The contents of that circle vary from person to person, but it includes tasks or roles in your business that people won’t be paying for directly but are crucial to your success. Things like management, administration, bookkeeping, sales & marketing. What does this have to do with the topic? Nothing. But it came up in my search, I’m tired…and hey! 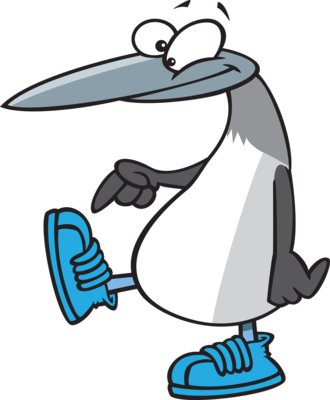 It’s a penguin with blue shoes. You don’t see one of those every day. Business skills are learnable and often outsourceable. Need some help with that? Wondering where to start? Georgee and I are passionate about helping our clients succeed at that sweet spot star. On Friday, January 25th we’re offering a full-day workshop.